I’ve lived in North Texas for 35 years, yet I’ve never visited the Arbuckle Mountains of Oklahoma, just two hours north on I-35. Admittedly, I’m a mountain snob, preferring my peaks to be snow capped and draped with fir trees. 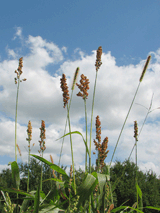 The Arbuckles, though only a few hundred feet tall, do tower above the flat prairie land. For modest mountains (or very big hills, of you prefer), they are some of the most complex geological and hydrological features in the United States. For a geology geek like me, that’s bliss. The area’s appeal for us mystical, Earth-loving types is its ancient rock, lush forest, and gushing springs, all of which are concentrated in abundance at the Chickasaw National Recreation Area, located south of Sulphur, Oklahoma, and administered by the National Park System. The park’s sad history plays out in our favor, creating a quiet oasis out of its misfortune. 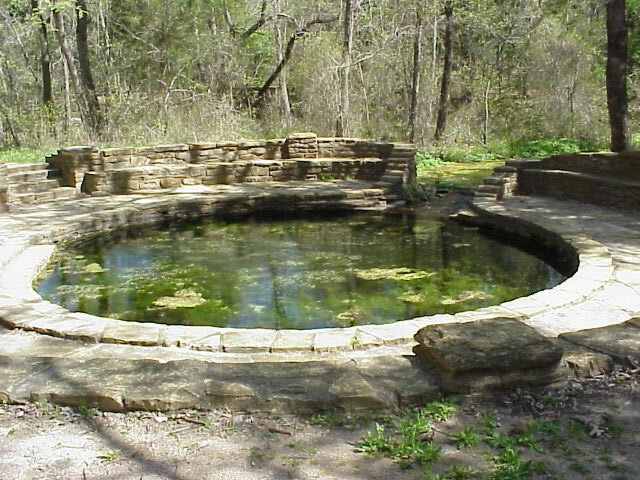 For centuries, Chickasaw and other Native American tribes had come to the sulphur and bromide springs at the base of Bromide Hill to seek ancestor knowledge and heal body and soul. By the late 1800s they could no longer stave off the settlers who moved in on their land. The town of Sulphur arose around the springs with the intention turning the sacred site into a profitable health resort. Alarmed, the Chickasaw appealed to the federal government to buy their land and preserve the springs from commercialization. In 1902, the town was forced to move. 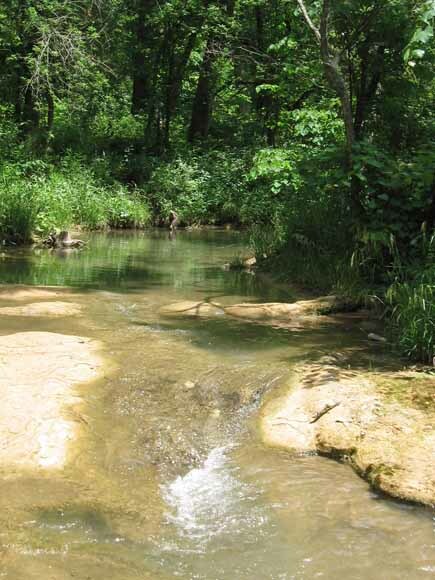 The Chickasaw’s 640 acres containing nearly three-dozen springs became the kernel of the present park, with nearly three-dozen springs and cool, shady creeks created by the 65-degree water. A natural amusement park, the crisp and clear Travertine Creek tumbles over 75 natural rock falls and six man-made dams as it winds along its two and a half mile course. In the 1930’s, the Civilian Conservation Corps gave the park an uplift with beautifully crafted flagstone buildings, bridges, walkways, benches and pavilions, plus a terrific set of roads and 18 miles of hiking trails. Then the springs started drying up. The ones near Bromide Hill were the first to go. Next was the main sulphur spring off Rock Creek, and other mineral springs like Pavillion and Hillside dwindled to a minimum. Only the freshwater Antelope and Buffalo Springs continued to gush at the healthy rate of five million gallons of water daily, creating Travertine Creek. How long has it been sit you swam in a creek and chased minnows in the reeds? Well, that’s too long! A bonus point: At 56 degrees, the creek is too cold for mosquitoes and snakes. Chickasaw acquired the sprawling Lake of the Arbuckles, constructed in the 1960s, swelling the park’s size to over 9,000 acres. Now the older areas of the park are far less crowded than it used to be — away from Travertine Creek, that is! Rock Creek is the quietest and most scenic campground. Go during the week and you have the springs mostly to yourself. All-terrain vehicles and off-road motorcycles are prohibited, a policy that keeps the entire park wonderfully quiet. We had a wonderful time exploring older park area, referred to as the Platt Historic District, on exceptionally even and well-surfaced trails that are mostly wheelchair accessible. A loop took us around the area’s bison pasture, through forests and prairie patches, across high ridges and along lush creek beds. Another trail meandered along Travertine Creek, a nice amble punctuated with the happy shrieks of children playing in the frigid water. The area east of the Travertine Nature Center is a no zone ­ no bicycles, pets, swimming, hunting, or camping. The serene nature preserve features an easy hike to Antelope and Buffalo Springs. Nearly 10 miles of more rugged trails, open to bicyclists and horse riders as well, follow beautiful Rock Creek to an incredible series of vistas along Lake of the Arbuckles. Antelope Springs remains a wonder, gushing out of a rock face with waterfall force into a picturesque nook and pond. Climb the small rocky knob it issues from and sense the power of water under intense pressure beneath your feet. Rather than emerging under pressure from a specific spot, Buffalo Springs oozes from a patch of woods the size of a small house, eventually gathering into a rivulet that leads to the Travertine Creek. It is a silent and serene place, perfect for meditation, where you can sit on CCC stonework benches and watch carbon dioxide from the springs bubble like champagne in the pond. The low-flowing Pavilion Springs is encased in a lovely CCC stone shelter, and the gentle Hillside Springs graces a private stonework nook; both are near the park entry and accessible off the buffalo pasture trail. A bona fide springs junkie, I find it awesome to be at the intersection of the dark regenerative underworld and the light-based life of the Earth’s surface. Springs represent the Earth Mother giving nurturance freely her from her dark womb. To meditate at a spring is to contemplate the source. At Antelope and Buffalo Springs you sit at a place where a creek is born, whose waters run to the Kiamichi River and on to the sea. Springs are simply rain filtered into the aquifer below. Under pressure, the groundwater sometimes breaches the surface to create springs. Meditation here makes you aware of the great hydrologic cycle that marks this blue planet — the springs that emerge from unseen depths, flowing via creeks and rivers to the vast embryonic oceans that spawned life on Earth, where the water evaporates into rain and begins the cycle again. In the Arbuckles, the springs emerge from awe-inspiring rock. To geology geeks, these modest mountains are a perfect showcase of the geologic layers of rock and mineral strata created as the planet formed, much like the Grand Canyon. Rather than going down deep into the Earth, here the layers are tilted on edge. Forces inside the Earth uplifted this section of the planet’s mantle until nearly vertical, causing 350-million-year-old rock old to be up at the surface for view. The Chickasaw springs are gushers because water in the aquifer layer of the uplifted area rushes downhill where it bursts out. These mountains, once as grand as the Rockies, are millions of years later worn to their roots, their essential core. The Arbuckles represent the last bit of eastern woodland ecosystem before it gives way to prairie, a place where cardinals live next to roadrunners. We sat one Full Moon night on a rock ledge atop of Bromide Hill. Looking north, toward the direction of ancestors, the Great Plains unfurl without limits. The power held by this intersection, where prairie and woods meet, where springs break forth from the Earth’s depths to its surface, where rock millions of years old asserts itself into the light of day, is quiet and enduring well beyond our mortal lives. On this night, lunar light spilled over the valley below us where the shadows of something, either spirits or night creatures, moved about in the brush, and the white noise of insects rose like the roar of a giant chainsaw, droning us into a trance. It’s easy to see why Native Americans came to this sacred space, appealing for wisdom from the Grandmother spirit of the waters. It is an awesome place of ancestor energy, a nexus of Earth forces wrapped in a nurturing forest glen. Editor’s note: Some of this secion may be out of date. Because we are good hikers, but poor campers, it was delightful to have accommodations right across from the park. 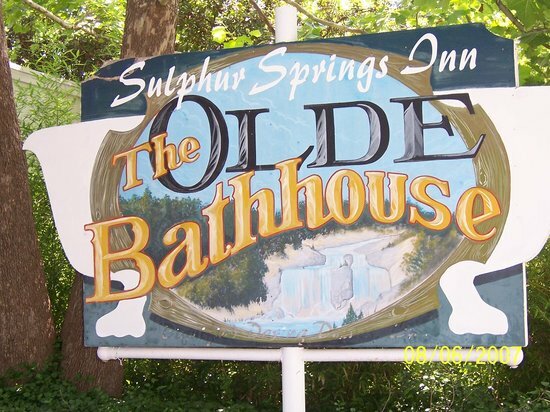 Sulphur Springs Inn occupies the former Caylor Bathhouse built in the 1920s. Strong sulphur water once flowed through the building and patrons soaked in tubs on the patio. Now the inn hosts a huge hot tub and cool pool in a garden room beautifully decorated with murals; it is particularly nice at night with candles. Hike and soak, hike and soak ­ this our idea of bliss. The inn’s seven rooms, all quaintly decorated and free of television or phone, are upstairs. Like many old bathhouse inns, rather than showers in each room, guests use the facilities downstairs next to the soaking tubs. Rooms have a toilet and sink behind a screen, but full bathrooms with a bit more privacy are available in the tub area. The ‘20s themed parlor features games, musical instruments, antiques and a plethora of gift items. A breakfast of pastries, cereals, fruit and yogurt, plus juices, coffee and tea, is served in the parlor. Sulphur Springs Inn is, as advertised, “a haven for gentle souls.” Cheri, the inn mistress, is a free-spirited sweetheart. 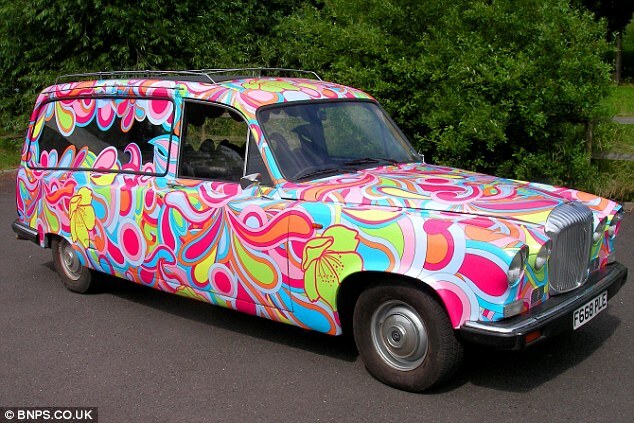 She’s feeling a little out of place in Sulphur and could use some holistic, open-minded and loving guests. Her first customers were a pagan couple from Dallas and the guest books were full of comments from gay duos. 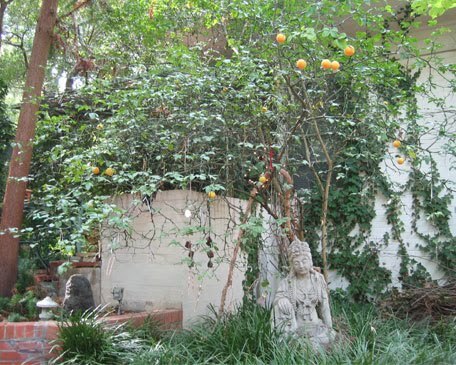 With Cheri’s love of nature and Earth spirituality, Moonlady Newsers will find themselves greatly welcomed. Aside from diners (Poor Girl’s Café), grills (Bricks), and pizza joints, Sulphur doesn’t provide much in the way of dining. Quail Hollow Depot, now called Michael’s, gets raves, as do lunches at the tea room in the historic downtown area, but both are open only Thursday through Sunday. Lifestyle Center of America, a facility for chronic disease recovery about ten minutes away, offers meals (except on Saturday) at their vegetarian restaurant by reservation only. If coming to Chickasaw on a weekday, bringing insta-meals to prepare in the inn’s microwave is recommended. But the town does have a liquor store with hanging baskets out front, which we found charming. About 10 miles east of Chickasaw off of I-35 is Turner Falls Park in Davis. Once it must have been the most beautiful place in Oklahoma. Deep in a small canyon formed from the ancient uplift rock, spring-fed Honey Creek cascades over a series of smaller falls and then down a 77-foot waterfall into a popular swimming hole. But Turner Falls Park has been relentlessly developed, with concessions, games, a rock castle and other amentities for entertaining children. As a result, it’s is very popular with families, some of whom evidently let their children run feral, creating the trashiest and most vandalized park I’ve ever seen. Yet Turner Falls has some real gems. A walk-in camping area off Wagon Road provides quiet picturesque sites with tables and grills next to the cool creek; the best ones are south of the two footbridges. Other walk-in sites are across the creek off Sycamore Road. Starting off Wagon Road near the creek, we took the unmarked horseback trail that starts at the riding stables gate. By veering left on the network of trails, at one point passing through a turnstile in a fence, you can follow Honey Creek to its spring source. We found an intensely pretty spot of woods where the springs issued from the rocky hillside, forming mini-waterfalls that burbled into small ponds. Lush greenery and flowers surrounded us, even though midsummer, and a multitude of dragonflies flitted about. A beam of sunlight piercing through the trees brightly lit the water’s surface. Bubbles of carbon dioxide released from the spring water rose to the water’s surface and burst like miniscule fireworks in the light. I sat on a log to take it all in and bonded a little too closely with nature. I’m still scratching the chigger bites, but it was worth it.